President Uhuru Kenyatta has appointed Interior Cabinet Secretary Fred Matiang’i to chair a new committee, the National Development Implementation Technical Committee. This committee will comprise of all Cabinet Secretaries, the Attorney General and the Head of Public Service secretariat. Matiang’i will be charged to supervise all government projects, including Big Four agenda, and will be deputized by Treasury CS Henry Rotich. 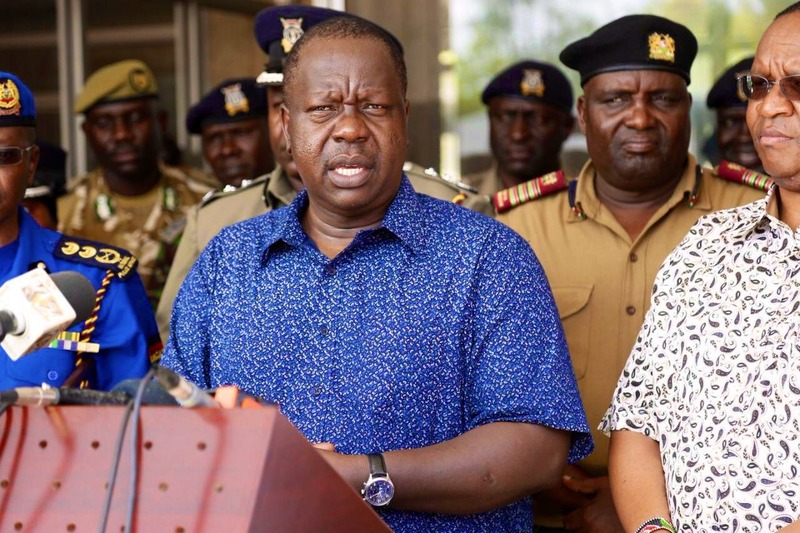 In the seemingly de facto Prime Minister post, CS Matiang’i will now co-ordinate all government ministries and will receive and deliberate on reports from the committee, and report to the President. He will provide coordinated strategic communication to the public and other stakeholders, on the progress of National government projects. He will also be in charge of the National Transport and Safety Authority, which was previously under the Transport ministry. This appointment comes after various political groups called for President Uhuru to create a Prime Minister post for CS Matiang’i so he could co-ordinate all government ministries. The call arose after CS Matiang’i implemented the return of Michuki rules, with many claiming that he was taking over Transport CS James Macharia’s job, who was/is still a paid CS. “Transport CS is a wage bill. The president should consider Matiang’i as their supervisor and coordinator of government ministries. He is doing his job well.” a resident of Borabu commented. “This is one minister who knows his job. Whether you like him or not, he does what’s right, no matter the resistance. He deserves to coordinate all ministries.” another resident added. Initially, State House introduced the Presidential Delivery Unit which was chaired by State House Chief of Staff, Nzioka Waita to oversee the implementation of the Big Four Agenda.